TODAY: Gladstone Port City Power have come away with two wins and five losses at the Under-18 Boys Division 1 State Championships on the Gold Coast. 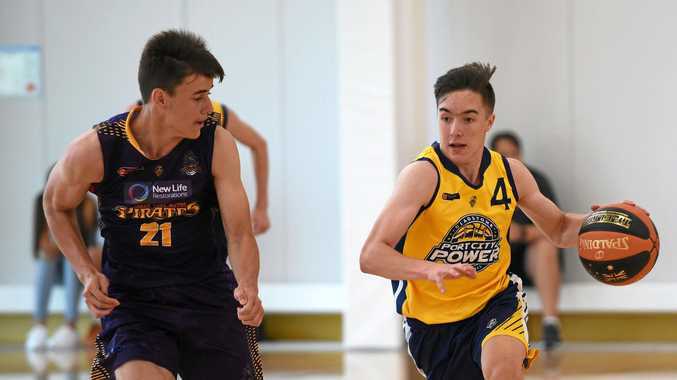 The Power lost to Mackay 99-68 yesterday to finish 10th in the top-tier championships which featured 12 of the best U18 teams in Queensland and 43 teams across all three divisions. 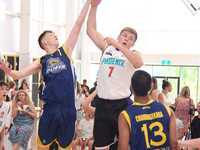 The Gladstone players were fatigued in the final game of a rigorous campaign as Sean Heugh (40 points) and his Mackay team-mates Beau Milburn, with 19 points, and Ezekiel Corowa (17) ran riot. Thasindu Chandrasekara and Joe McEldowney finished strongly with 13 points each while Connor Lantry and Ben Harvey battled hard for nine and eight points respectively. It was better news on Saturday when McEldowney's 24 points led Power to a 64-58 win against Brisbane Capitals. Chandrasekara and Tibah O'Brien shot 16 and 10 respectively. It was a tight tussle and Max Mackinnon's triple to put Brisbane within two points with 70sec left which sent shivers in the Power camp. But Chandrasekara and McEldowney ensured a gritty win with clutch free throws and two pointers down the stretch. Chandrasekara's 35 points went a long way to Gladstone's first win against 78-65 against Sunshine Coast Phoenix back on Friday. 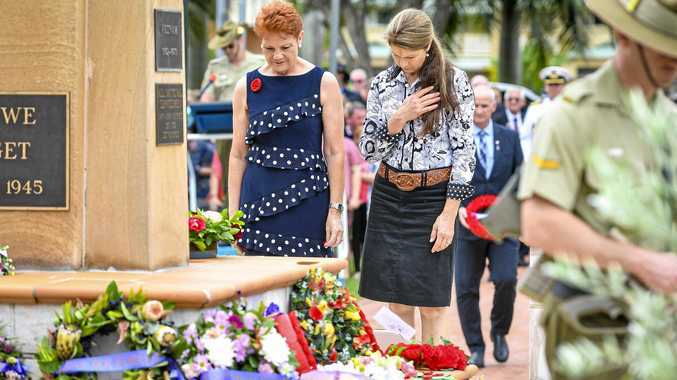 It lost its first four games to powerhouses Logan Thunder, South West Metro Pirates and Cairns Marlins. 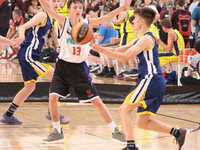 EARLIER: Gladstone Port City Power will play Mackay Meteors tomorrow at 8am in a 9th/10th play-off game at the Under-18 Boys Division 1 State Championships on the Gold Coast. The young Power team won its second successive game with a hard-fought 64-58 win against Brisbane Capitals this morning. Joseph McEldowney played a stellar game with a game-high 24 points and Thasindu Chandrasekara and Tibah O'Brien shot 16 and 10 respectively. Dominic Hayes (17 points) and Mackinnon, with 14, kept Capitals in the game. YESTERDAY: Thasindu Chandrasekara's 35 points led Gladstone Port City Power's U17 team to a superb 78-65 win over Sunshine Coast Phoenix today. 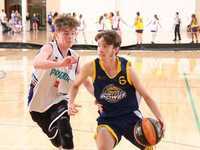 After a 0-4 start to the Under-18 Boys Division 1 State Championships, the Power were determined to get a win after some tough losses against the best teams in Queensland. Bigs Tibah O'Brien (19 points) and Joe McEldowney, with 14 points, played their best games as they exposed Phoenix. 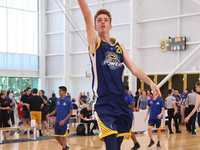 Ben Fullarton was great for SC Phoenix with 26 points while Declan Fitzpatrick shot 13. It puts the Power off the bottom of the Pool B ladder and it faces winless Brisbane Capitals in a Pool cross-over game at 9.30am tomorrow. EARLIER: Gladstone Port City Power are still without a win at the Under-18 Boys Division 1 State Championships on the Gold Coast. After losses to Logan Thunder and South West Metro Pirates yesterday, Gladstone went down to Gold Coast Waves 86-61 and Cairns Marlins 94-60 in the later game today. Thasindu Chandrasekara backed up his 18 and 21-point games with another 18 to lead the way for the Power and his team-mate Luke Knight was good with 11 against Waves. Ben Harvey was also solid as point guard with eight points. Waves' Blake Gamble was terrific with 19 points and well supported by Lloyd Mcveigh who got 17. Marlins were too good as Tysei Hutchinson and Rivar Evans each shot 16 points and Joshua Kelly with 11. Gladstone's Harvey and Knight both scored 10 points while Chandrasekara had a quieter match with nine. Gladstone meet South Coast Phoenix Teal at 2pm tomorrow. EARLIER: Gladstone Port City Power boys' team received a massive reality check at the Under-18 Division One State Championships on the Gold Coast today. Pitted in the top tier as one of the 12 best junior teams in Queensland, the Power were trounced 121-64 in game one against a fired-up Logan Thunder. Power's Thasindu Chandrasekara top scored with 18 points while centre Tibah O'Brien (12). All Logan's 10 players shot three points or more as Spencer Lees and Toby Harrold-Evans combined with 49 points and Tyrone Fui shot 19. Power lost to South West Metro Pirates 103-79 late today. Chandrasekara continued his strong form with 21 points and Ben Murdoch (18 points) was also impressive. Foul trouble plagued Gladstone with Luke Knight and O'Brien and they collected five fouls. Joseph McEldowney used his size to shoot 15 points. Pirates had an even spread of scorers none better than Mojavee King with a game-high 24 points. Gladstone meet Gold Coast Waves tomorrow at 8am and Cairns Marlins at 2pm. Follow results on the Basketball Queensland website.